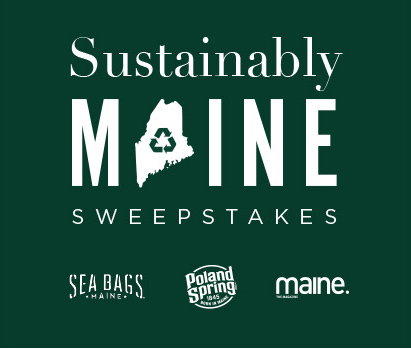 Sea Bags, Poland Spring® Brand, and Maine magazine have joined forces to bring sustainability front and center. As companies from the beautiful state of Maine, we all know the importance of taking care of our most precious resources. In 1999, Sea Bags started its mission to save old sails from landfills and transform them into functional totes and accessories. Like Sea Bags, Poland Spring knows that old materials can be reborn into something new, and it's why they very carefully design all of their bottles to be 100% recyclable. Maine magazine uses its media platforms to proudly elevate stories of environmental warriors and laud the work of companies like Sea Bags and Poland Spring Brand who dare to challenge the status quo. In celebration of Earth Day, we’re giving away 25 Sea Bag totes to our fans in an effort to create awareness around the importance of sustainability and preserving our environment. 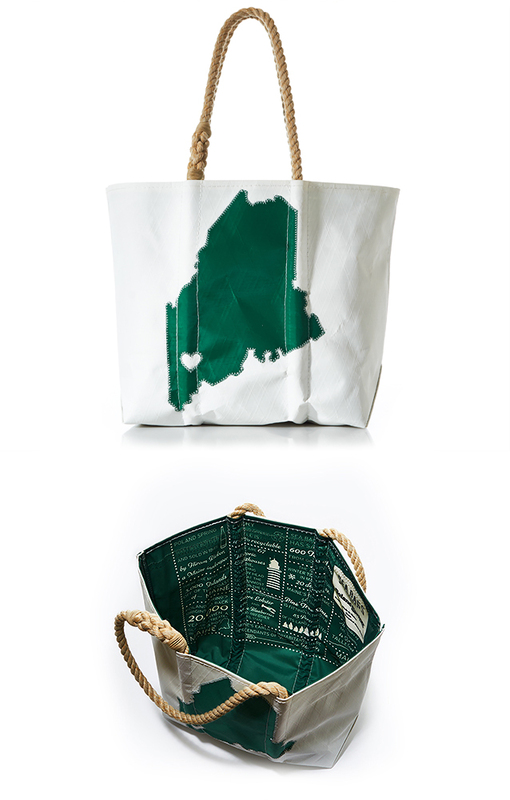 Made from sail cloth containing 80% recycled plastic bottles, this limited-edition tote features our home state with a fun interior liner covered in trivia about Maine. I would like to sign up for e-mails from Poland Spring® Brand. I would like to sign up for e-mails from Sea Bags®. I would like to sign up for e-mails from Maine magazine®. NO PURCHASE NECESSARY. Void where prohibited. Open to legal residents of the 50 United States (D.C.) 18 years or older. Promotion starts 12:00 a.m. ET on 4/22/19 and ends 5/12/19. To enter and for Official Rules, including odds, and prizes descriptions, visit www.polandspring.com/seabags. © 2019 Nestlé Waters North America Inc. All rights reserved.